Try Angelus for just $9.95! 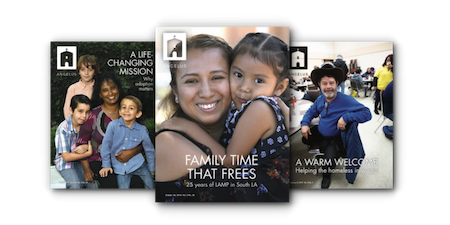 Angelus is a weekly news magazine covering the people and ministries of the Archdiocese of Los Angeles. With this special offer, you can get a whole year of Angelus (44 issues!) for just $9.95 — that’s 66% off the regular price. Every issue includes news, commentary, arts and culture reviews and more from leading Catholic writers covering the Church in L.A. and around the world. Stay connected to the Archdiocese of Los Angeles. Subscribe to Angelus today! All prices include shipping & handling. US orders only. I would like to support the publishing mission of Angelus by making an additional donation today.